Every year, we celebrate our anniversary by taking a trip away instead of giving each other gifts. Given that we are both “quality timers” in the love language department–with gifts as a low priority–this has worked well for us. We’d rather save our resources toward focused time away with each other. My husband edited together a video / slideshow of this year’s trip to share the beauty of California. Since we’ll be leaving the state of California soon and Highway 1 is our favorite place to visit on earth thus far, we decided to extend this particular anniversary trip to see more of it before we go. 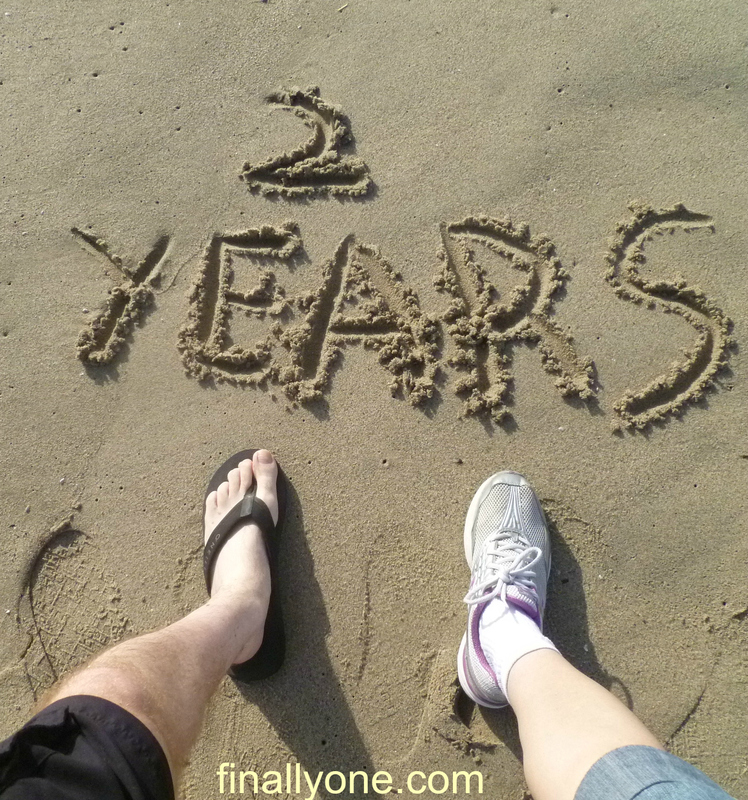 My encouragement to those who are married is to take is take the time to celebrate milestones, like anniversaries. Take the time to build precious memories together. Never forget to have fun together or remember if you have kids that you are spouses first, parents second. One of the topics we speak about to married couples is making sure you have good memories to look back on so that if you ever hit a rough patch in your marriage, you have good memories to draw on to remind you of how it can get better. It’s kind of like with God, when we go through a dry patch where we wonder where He is, and it “seems” like He’s absent. When we have memories with God to draw back on when He was faithful to us, they can carry our faith through until we sense His presence again–if we let it. 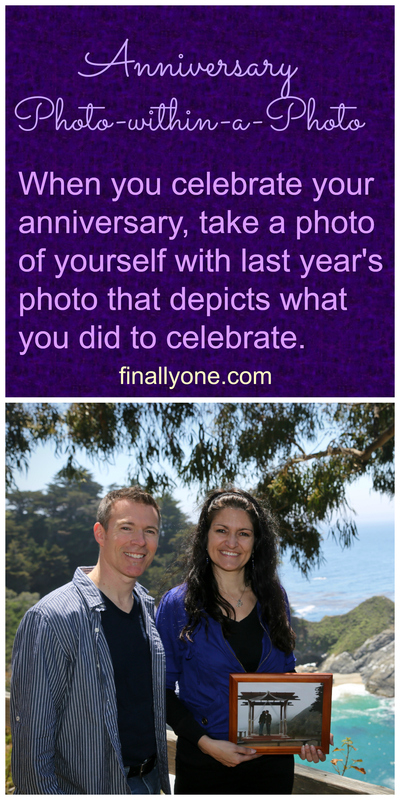 Have you ever seen the picture within a picture idea on Pinterest, where they suggest you take a photo of yourself on each anniversary holding last year’s anniversary photo? By 50 years you’ll have yourself in the image 50x. All four of our photos so far have been from Highway 1. It’ll be an adventure to see what those pictures will be in the future as we leave here. It’s never too late to start one of these. 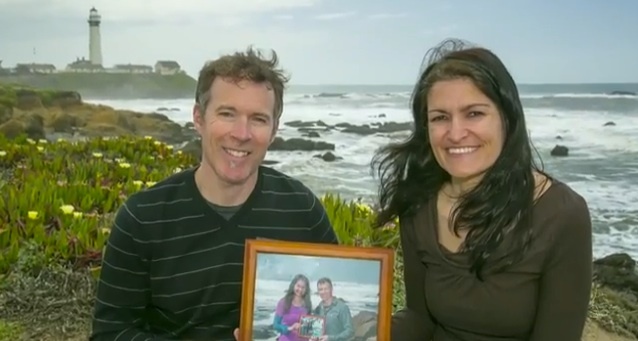 Now, go make some great memories with your spouse. 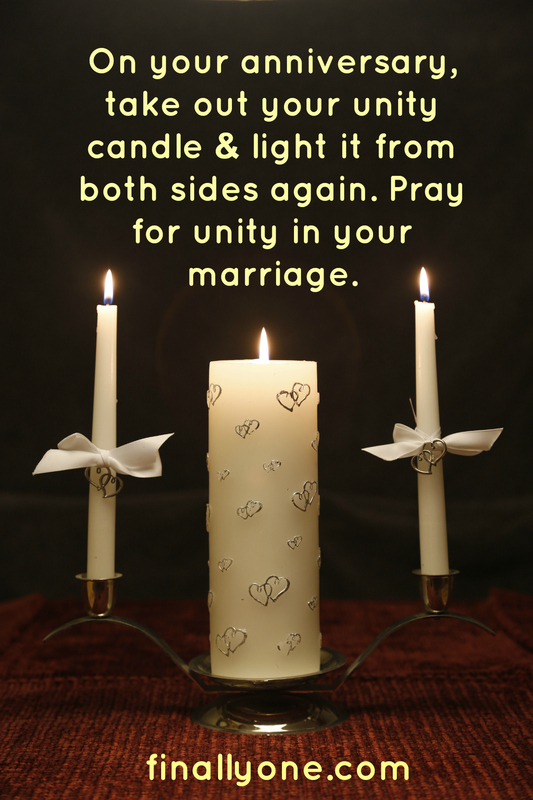 It’s only appropriate I post this marriage tip for Wisdom Wednesday about celebrating anniversaries on my parents’ anniversary. So HAPPY 47th ANNIVERSARY, Mom & Dad. 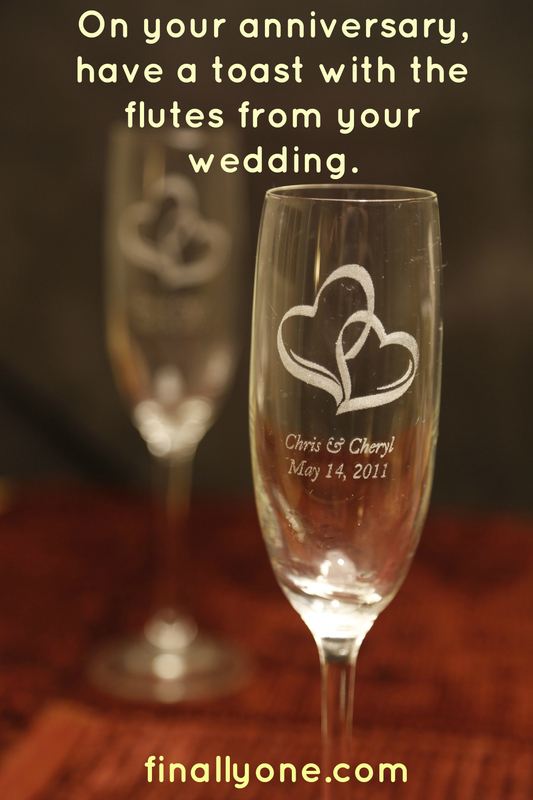 Now this may seem obvious… marriage advice that says “celebrate your anniversary.” Doesn’t everyone? We are the types that like to celebrate everything. Perhaps it’s because we waited so long for marriage, we like to enjoy the “little things.” No one would be surprised to see “Happy 17th Month Anniversary, babe!” So feel free to celebrate each other, anywhere anytime. To follow are ideas we’ve collected and done, to commemorate the occasions, like the big anniversaries. Enjoy our anniversary ideas in pictures. Some of them you can do together. Others are photos you should take on the occasion (inspired by Pinterest).